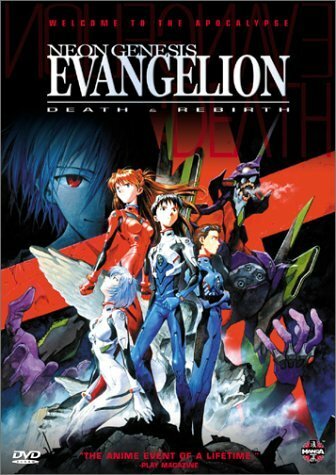 The first anime I purchased were mecha series, and the very first was Neon Genesis Evangelion. It is safe to say that Evangelion is a classic, and one that is still going on. It certainly tops the list of the most critically acclaimed anime ever made, as well as among the most controversial, in particular the way the original series ended. They ended up getting threat letters and their office walls were vandalised, all of which was included in later film montages. In terms of modern controversy, it is simply waiting for releases of the remake films, not to mention the release of the fourth and final film in the series that is yet to hit the big screen. Another of the mecha anime I bought was Martian Successor Nadesico, but this comedy mecha series has not stood the test of time so well. However, the elements of parody and comic romance, mixing the mecha with the harem genre, is still pleasing to me. My very favourite mecha anime of all is Gurren Lagann, but my views on that can all be summed up in this old review. Speaking of harem, my favourite in this group and one I would also argue is a modern classic is the reverse harem series Ouran High School Host Club. For me, this series is still a solid 10 out of 10. For me it stands out because I can see certain aspects of humour that appeal to us Brits, namely about class, with the central character Haruhi Fujioka being the sole lower-class, poor student in a school full of rich, privileged kids, who are so spoiled that they don’t know what instant coffee is. One other series I feel the need to mention is Death Note, whose lead character Light Yagami is one of the greatest characters around. It is a thrilling story from start to finish, and one that has an impact on the world – even if some of those impacts were horrifically negative (i.e. real-life murders inspired by the series). If you want to look further back in time, certain Studio Ghibli films such as My Neighbour Totoro are still wonderfully charming, but when it comes to TV shows there is little on offer, as most anime releases are of new shows. However, you do still get the odd release such as the original Mobile Suit Gundam. Classic anime may seem like an obvious thing to list off, however what one person may call a ‘classic’, another not so much, and it’s made foggier with the term ‘modern classic’ as they’re even more debatable. So, a few of my choices may seem obvious to you, or even questionable, but either way I highly recommend the following series. 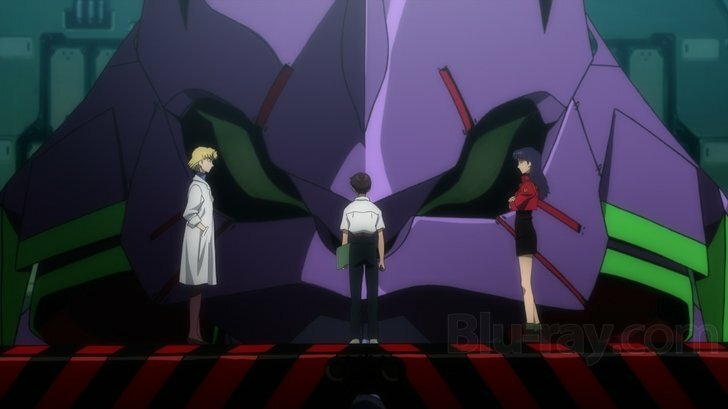 First, it’s Neon Genesis Evangelion. Yeah, I know it’s a predictable pick, however it’s one of the two series that finally pushed me from curious to full-blown anime fan. It was the first ‘grown up’ anime I ever experienced, and at the time the exploration of psychology with giant robots and huge alien-like battles were mind-blowing. Whilst the psychological side of the series may not hold up as much, and the ending is infamous for a good reason, that doesn’t take away from an extremely solid two thirds of anime storytelling with some of the best monster-of-the-week episodes you’ll ever see. Then there’s the music, the iconic character designs, and the legacy it left. This is a classic; it may not be fun to watch for everyone but you can’t deny the impact it’ll have on you or it had on the industry. Cardcaptor Sakura is also what I consider a classic; when I was first exposed to this series as a kid in its heavily edited format, I loved it, and I still hold a fondness for the Westernized version to this day. As a child I loved seeing a girl being the main character, a hero who wasn’t afraid to run into danger and use magical powers to save the world. I even still love the fast-paced opening theme, as to me it compares with the English version of the first Pokémon opening in terms of catchiness and getting you fired up to watch the show. Then many years later, when I paid the most money I ever spent on eBay or on any anime to get the out-of-print Region 1 DVDs of the entire series in its uncut glory, I consumed the whole lot in a few weeks with a massive grin on my face. 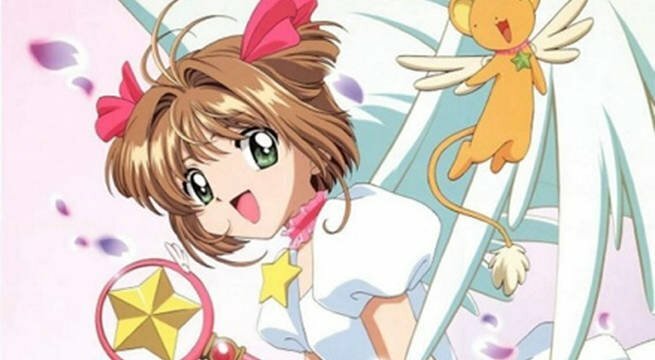 I may be drawn to darker stories overall, and enjoy other magical girl series with stronger writing, but to me Cardcaptor Sakura is pure love and happiness in a bottle, and a classic magical girl show for all ages. Finally, I can’t not talk about classics without mentioning Tenchi Muyo! The grandad of harem anime got a glowing review from me when the collector’s edition was released last year, and so a lot of my outpouring for that series can be read there. However, no matter how many spin-offs or sequels there may be of this series, it cannot touch the rare dream-like environment and comedy timing that this OVA has. Again, I watched this originally when I was very young and heavily edited, but it’s still a fabulous series, that unlike the other two I’ve mentioned, can be easily purchased in the UK. When it comes to what I believe is a classic anime I define it one of two ways. It can be a series that everyone tells me is a must watch (something like Fullmetal Alchemist or Cowboy Bebop) or it can be a show that I still think about more than few years after first watching it. Rather than focusing on popular opinion, I’ve decided to pick a show that has stuck with me since it originally aired back in late 2012. It’s an anime that has consistently been on my mind since and that I’ve often revisited. That show is The Pet Girl of Sakurasou. Back in 2012 I’d only been keeping up with ‘new’ anime for a year or so and when I’d first seen the promotional art for Pet Girl of Sakurasou I’d been uninterested in what looked like a potential harem series, the likes of which just don’t interest me. However, for some reason I ended up watching the first episode and being incredibly surprised by the quality of what I saw. 23 episodes later I was in love with this slice of life series that laughed in the face of my stupid assumptions that it was going to be a silly harem. The series follows the story of Sorata Kanada, a high-school student who is suddenly kicked out of the school dormitory due to his refusal to give up a stray cat he’s looking after. Sorata is sent to Sakura Dormitory, the school’s place for ‘trouble students’ and where there is sure to never be a dull moment. The truth about the Sakura Dormitory is that while all the kids sent there are trouble, they also happen to be incredibly intelligent and skilled when it comes to arts, such as writing, creating anime, games and so on. When the dorm is joined by famous artist Mashiro Shiina, Sorata is put in charge of looking after her after being informed that, while she’s highly skilled in her field, Shiina has no ‘common sense’. This frustrates Sorata to begin with, but slowly the two become close and Sorata realises that perhaps being in Sakura Dormitory is the best place he could be. Pet Girl of Sakurasou is a coming of age story that sounds generic on the surface but actually has a great deal of depth to it. Sorata, and many of his classmates in the dormitory, are uncertain about their future. They’re nervous, frustrated and often anxious about their lives and those are feelings that I could really relate to on my first watch of the show. They’re feelings that I can still relate to now, several years later, and I think the same is likely true for other anime fans. While the series is popular in Japan, unfortunately it hasn’t been released on DVD or Blu-ray in the UK. The original light novel the show is based on hasn’t been localised either, neither has the manga adaption. However the show is legally available to stream through Crunchyroll or HiDive, so there are ways for new fans to watch it. My definition of a classic might be different to my fellow writers, but I truly believe that The Pet Girl of Sakurasou deserves the title. This is a show that has constantly been on my mind since it ended, a series that I really would love to see be given a Blu-ray release and perhaps more importantly – this is an anime that will always help me when I lose my way. Cowboy Bebop is the main show I choose to make sure every anime fan has watched, and the show I’d pick for people who have never even dipped their toe in the world of Japanese animation. It’s one of those rare shows that no matter which way you watch it, dubbed or subbed, it’s great: well scripted dialogue, voice acting, animation, story and definitely the music. The basic premise of the show is quite simple, it’s the old space western idea of outlaws and bounty hunters scratching out a living in the futuristic environment of colonised space, but few have done as good a job with the side-genre, and I don’t know if any have done it better. Spike, the lead protagonist, is the very definition of “cool, laidback leader”, and he eventually assembles a small group who follow him across space, from his partner Jet, who’s a former cop, to untrustworthy female con-artist Faye Valentine, and the weird child hacker Ed. They all have plenty of moments of humour, but most importantly, plenty of great stories and drama when needed. One of the key things I think Bebop has done better than most shows out there is handling the backstories of its characters. Instead of extended flashback episodes spelling everything out, it’s normally explained through dialogue or very brief, wordless flashes. The best example of this is Episode 5 “Ballad of Fallen Angels”, in which we’re given a taste of Spike’s backstory, and it’s told beautifully throughout the 24 minutes. People from his past crop up, people in his present get caught up in it, and it all leads to a stunning showdown in a church which features some of the very best pieces of background music I’ve ever heard. It’s still my choice of best single episode of anime, and possibly TV episode full stop. 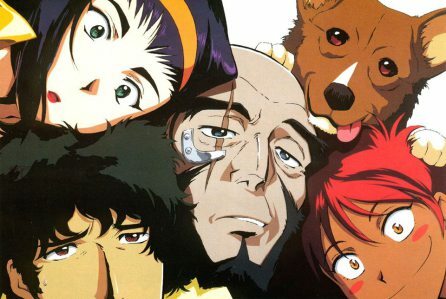 So Cowboy Bebop, entirely predictable, but only because it’s stood the test of time. People have been talking about it for two decades because it’s worth talking about, people have been recommending it for two decades because it’s highly recommended to anyone. It’s the very definition of “Classic”. I imagine a number of our readers may not remember a time when Cartoon Network delved into anime outside of child-focused franchises like Yo-Kai Watch, or even sought to court a teen market at all. In the mid-2000s however, the company had an offshoot channel with a trademark “radical cool” image that was so prominent at the time – CNX. While the Cartoon Network of today is more than happy with Teen Titans GO, CNX gave us American animation like Batman Beyond and X-Men Evolution. In the evening however, the target audience would shift even more, with shows targeting a more mature viewership, including anime. My knowledge of anime at the time was largely restricted to Pokémon, but I vividly remember my older brother one day telling me about a cool show he’d found that I might like. Produced by Sunrise, it was an exciting adventure against the infinite backdrop of space, following a mismatched, diverse group of bounty hunters aboard a ship from which the series takes its name. No, I’m not repeating Cold Cobra’s praise of Cowboy Bebop; I’m talking about Outlaw Star. 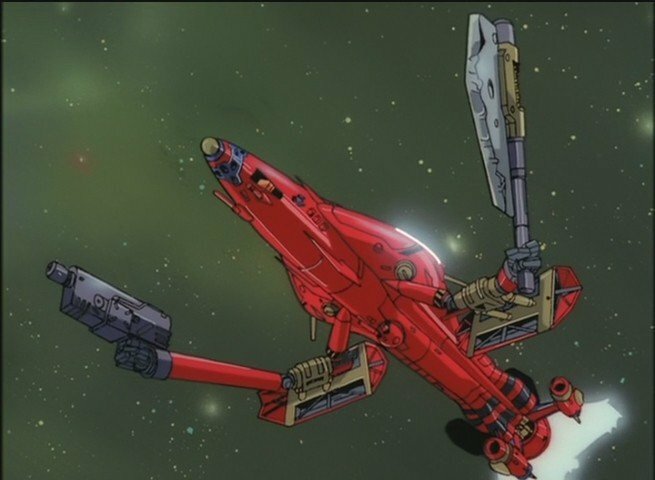 The story of Outlaw Star follows the cocky grafter Gene Starwind, whose dreams of becoming a space outlaw become a frightening reality when accepting a bodyguard gig leaves him and child mechanic partner Jim Hawking in possession of not only the titular spaceship, but the key to piloting it, a peculiar android called Melfina. On their tail however, are nefarious space pirates after the ship and its navigator, believing them to hold the co-ordinates of the mysterious cosmic treasure, the Galactic Leyline. There’s a lot to love about Outlaw Star that really makes it stand out to me as a true anime of its era; a stylistic amalgam that just works. The central cast itself feels like a Lupin the Third style mash-up: Gene Starwind is the rough, cool womaniser you might expect from a Hollywood film, while graceful assassin Suzuka carries a traditional Japanese visage, and cosmic cat girl Aisha Clan-Clan is an especially rowdy example of exotic futurism that was so prominent in its era. Rounding off the cast are the aforementioned Sci-Fi android Melfina and kid genius Jim, who usually finds himself paired with Gene as the “straight man”. What sets Outlaw Star apart from contemporaries like Cowboy Bebop is the makeup of its universe: an enchanting blend of both science and magic. Space has been colonised, yet some of its inhabitants still utilise ancient Tao Magic – with the ring representing this marriage being Gene’s trademark Caster Gun; a pistol that fires spells stored in bullets. The series also deserves heavy praise for the existence of Grappler Ships, like the titular vessel. The addition of manoeuvrable arms adds a whole new visual spectacle to dogfights, including spaceships wielding giant pistols and knives. It may not make any sense, but I don’t care – it’s just so ridiculously cool. While the craziness unfurling across the cosmos is reason enough to stay along for the ride, another strength of Outlaw Star comes from an intimate, human core. A bio-android created to navigate a spaceship, Melfina’s journey is a personal one as she looks both outside the universe and inside herself to solve the existential riddle of her existence and what it means to live. The series was broadcast past my bedtime, but I persuaded Mum to let me stay up late. From the moment its opening theme kicked in, I was hooked (and”Through the Night” is still the best opening of all time!). Back when digital music was just becoming a thing and I received my first MP3 player, I could only figure out how to put a single song on it – but it was Outlaw Star‘s opening song, so it was all right! That wasn’t the only musical inspiration the series had on my family though; one of my older brother’s first bands took its name from the series: Chasing Melfina. 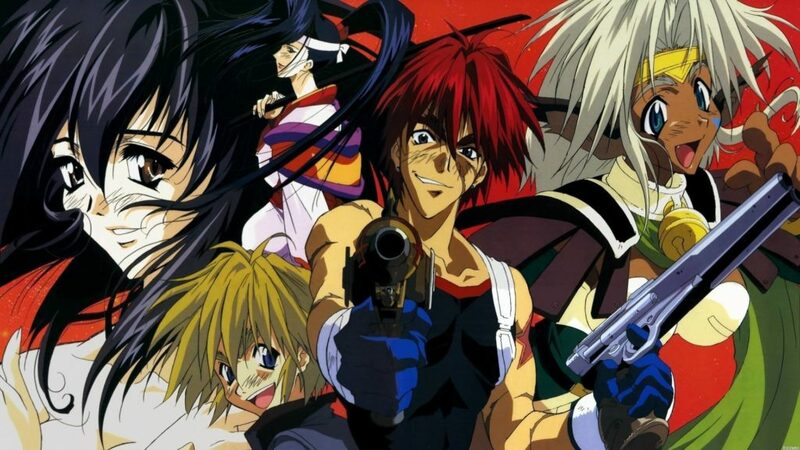 Years after CNX bowed out of UK television, Outlaw Star is fortunately still available for our viewing pleasure thanks to Anime Limited, who recently released the series on DVD and for the first time on Blu-ray. Thanks to Anime Limited bringing us the first R2 release in 2016, I – at last – got the chance to see and review Gankutsuou: The Count of Monte Cristo (it was originally released in Japan in 2004). And it was well worth the wait! Famous (infamous?) at the time of its release for its unusual psychedelic design choices and stained-glass colour palettes, this SF far-future re-working of Alexandre Dumas’s classic tale of love, betrayal and revenge grips the viewer from the very first episode. 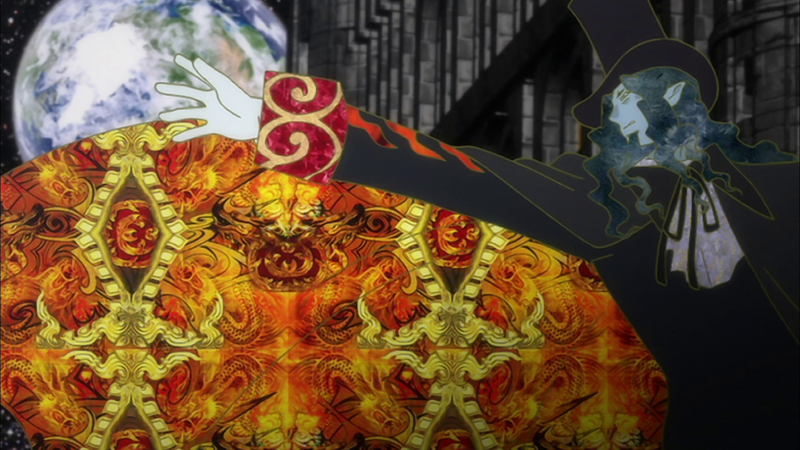 The ornate, elaborate style suits the story well – but director Mahiro Maeda doesn’t sacrifice story or character development for style (unlike, arguably, other titles of the same time such as Gilgamesh and Ergo Proxy which, much as I liked them at the time, have significant flaws in those areas). The decision to re-tell the tale of Monte Cristo from a different character’s point of view was inspired. Instead of following Edmond Dantès’s fall and rise in a linear narrative, using young Albert – the son of the woman Dantès once loved – as the main character and to depict events unfolding before his (innocent and star-struck) eyes puts a cruel yet fascinating twist on the story. Not afraid to indulge in big, dramatic gestures, the creative team were also not afraid to use nineteenth century classical music (notably Tchaikovsky’s Manfred Symphony) alongside futuristic electronic sounds which only enhances the experience. Koji Ueno’s music enhances the action perfectly and the wistful ED ‘Water’s Rest’ is exquisitely sung by the wonderful (and much missed) Origa. There are still copies around of the 2007 UK 6 volume DVD (beez) release – but this is one ‘classic’ I’d love to see get a Blu-ray edition – or, at least, a new release – as Beez Entertainment closed down, sadly, in 2012. There have been many titles over the years which deserve the title of ‘classic’, from well known hits to more obscure, timeless works of art. Choosing just one was a challenge in itself; other writers have risen to the challenge of covering Neon Genesis Evangelion yet my passion for anime also owes a debt to Urusei Yatsura, Sailor Moon and Hana Yori Dango. Some of these old favourites have aged better than others but there’s one title in particular which means a lot to me even now: Revolutionary Girl Utena. A surreal coming-of-age story which owes a great deal to the wonderful Rose of Versailles and Japan’s striking Takarazuka theatre tradition, Revolutionary Girl Utena became a firm favourite of mine from the moment I watched the first batch of episodes one sleepy Christmas morning. And then I watched them again, and again, fascinated by the way the series played with genre conventions, artistry and storytelling techniques in a way I’d never seen before. The story of Revolutionary Girl Utena is deceptively simple for a series which is so very open to interpretation. Utena is a schoolgirl who decides that she will grow up to be a prince and she absolutely won’t let the fact that she’s a slender, pink-haired beauty stand in the way of her goal. 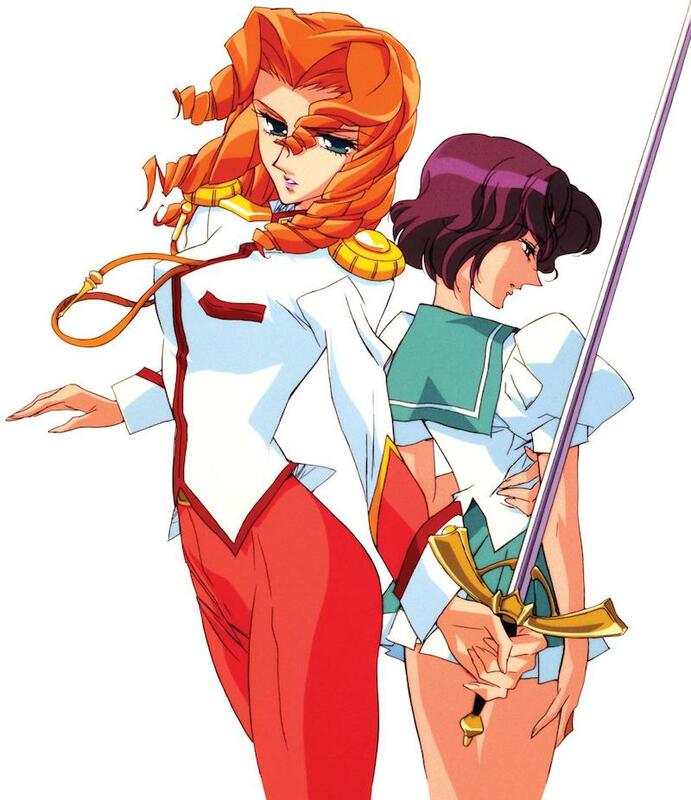 Her heroic personality soon leads her into a world of savage duels where she battles to protect a girl named Anthy, who plays the role of the classic, submissive princess to Utena’s outgoing prince. The story constantly sets itself up to be so familiar that it seems cliché, only to swiftly subvert the viewer’s expectations every time they think they have the formula down pat. It’s very difficult to summarise what makes Revolutionary Girl Utena so interesting. It flits between melodrama, romance, surprisingly violent battles and wacky comedy without stopping for breath, then it goes right back and does it all over again. The series has as little respect for rules as Utena does for her school’s gendered dress code; every new character introduces more complex interpersonal relationships for Utena to navigate with nothing but her determination and friends behind her. Even the soundtrack is unique, pairing pretty piano melodies with haunting, experimental choral music – not to mention one of veteran anisong performer Masami Okui’s very best 90s opening songs. That this unique series has yet to receive a proper UK release after the overwhelmingly positive reception which has stood the test of time overseas is a dreadful shame. MVM bravely dipped their toes in the water with the sumptuous animated movie, a reimagining which somehow manages to be even more whimsical than the original (for a summary, AUKN’s own darkstorm previously wrote about it here). Unfortunately, even that release is long out of print and the only way to watch the original television series in English is to import the beautiful US release or resort to the dub-only iTunes/Google Play episodes. The movie is available as a dub-only download via Amazon UK. 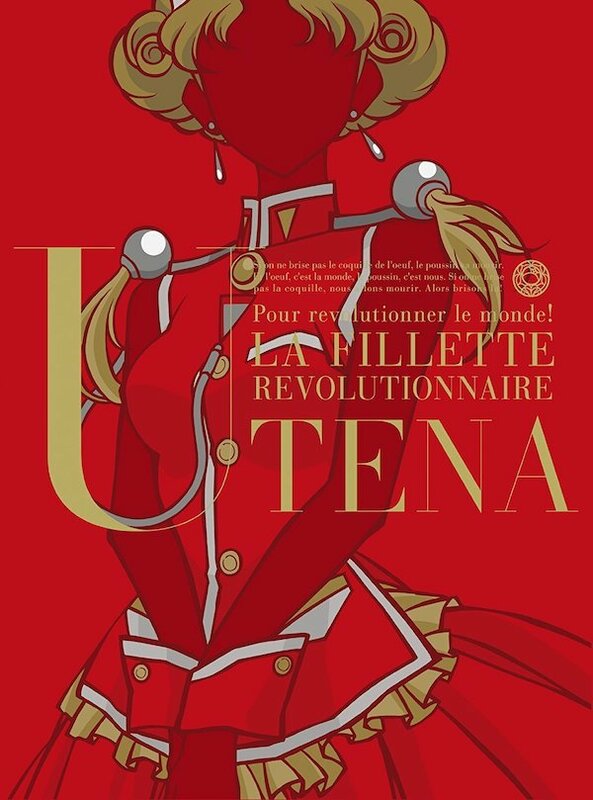 The anime market has come a long way since MVM’s release and I’d dearly love to see Revolutionary Girl Utena making its way to UK shelves one day. Its message of self-determination meant a lot to me as a young adult; it’s something I still go back to now and then even after all of this time has passed. I dare say that many of the social issues underpinning the series’ hallmark duels are just as relevant today as they were back in the 90s once all of the pomp is stripped away and analysed. If you’ve never give it a try and the stylised designs appeal, I thoroughly recommend giving Utena a chance. When it comes to anime that I’d consider a classic, my instant go-to would be Puella Magi Madoka Magica, the show responsible for not only getting me interested in the medium to begin with, but one that set the bar for how amazing anime could be. 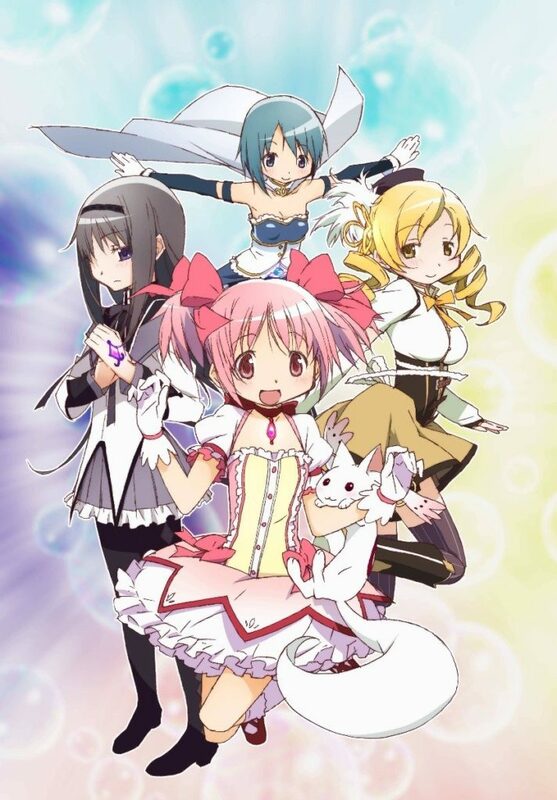 Starting off as most Magical Girl shows do, Madoka Magica focuses on the titular teenage girl Madoka, whose life is changed thanks to a chance encounter with Kyubey, a strange cat-like creature who offers to grant her anything her heart desires in exchange for becoming a magical girl. However, Homura Akemi, a new transfer student and a magical girl herself, urges Madoka to decline, telling her not everything is as it seems. Perhaps the use of the word ‘classic’ could be interpreted as being incorrectly applied, with the series not even being ten years old yet (it was released in 2011) yet it bears all the hallmarks of an instant gem that will be remembered for years to come, from the distinctive visual style that juxtaposes soft pastel colours and buttery smooth animation with nightmarish stop motion-esque sequences, to the shockingly dark story that turns the entire magical girl genre on its head, throwing in plenty of curveballs along the way, not to mention the expansive cast of developed and flawed characters, that receive more depth in twelve episodes than others manage in twice the length. Honestly, I find Madoka to be absolutely perfect, and just about the pinnacle of the medium, and even though it hasn’t been out as long as other highly regarded anime such as Evangelion or Cowboy Bebop, it’s already earned its place amongst the greats within the community at large, and it is well earned. 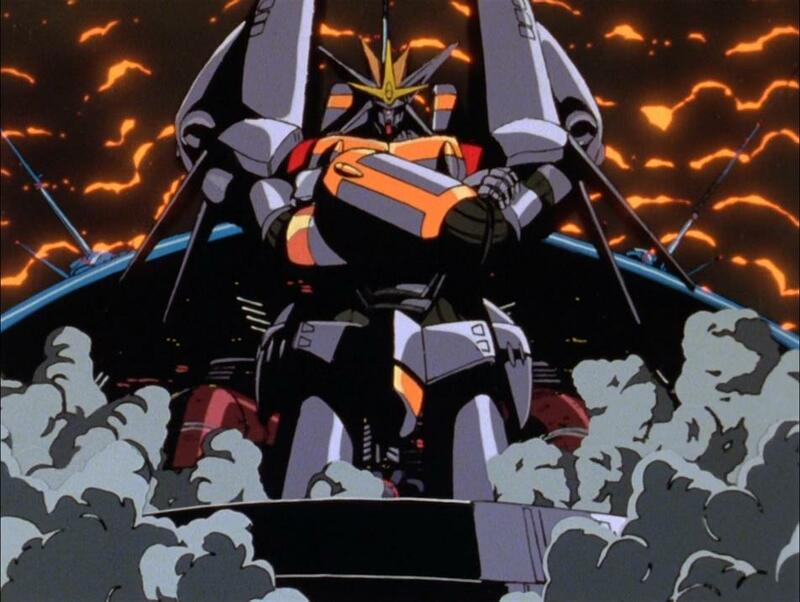 Whilst the amazing and groundbreaking mech series Neon Genesis Evangelion may be the project that truly launched director Hideaki Anno into the spotlight as one of the most well known directors and screenwriters amongst anime fans, I feel his directorial debut Gunbuster to be an often overlooked classic in its own right. Set in the not-too-distant future, Gunbuster centers around Noriko, the daughter of a deceased space captain (he died battling an army of aliens intent on wiping out mankind) who decides to follow in her father’s footsteps by enlisting in pilot training school. Despite her father, Noriko’s skills when it comes to piloting mechs is lacking to say the least, with her being outclassed by almost all of her peers. 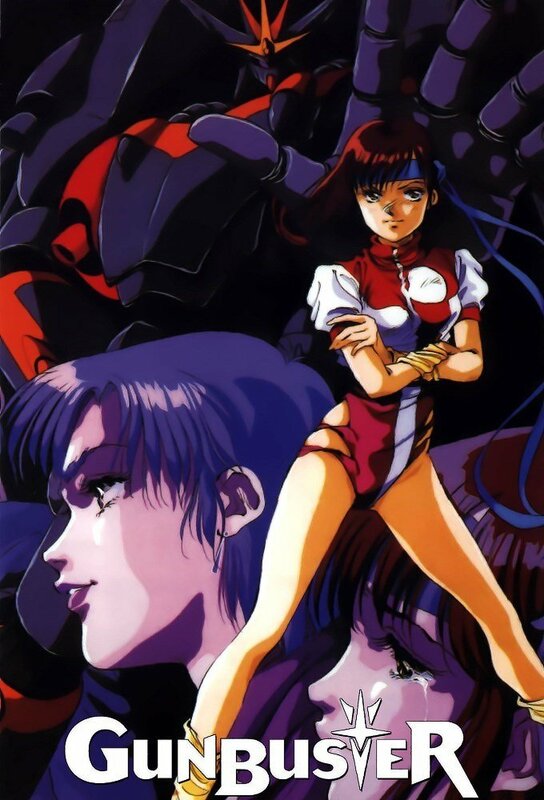 Although not entirely comparable in every sense, you do get the sense that Gunbuster acts as somewhat of a prototype to Evangelion, featuring mech pilots dealing with psychological issues, in this case tackling an inferiority complex within its protagonist, but also touching on issues of PTSD, with some of the most realistic depictions of what combat would actually be like in a sci-fi setting. The animation is also late 80s bliss, featuring some amazing cell-based animation that looks amazing under Anno’s direction, and has aged beautifully. The only real drawback to Gunbuster is that it doesn’t have a high quality release in the UK. There is an out of print DVD available, but it is an awful release that has been transferred from a VHS tape, but apart from that, you’re out of luck unless you import. It’s a crying shame, because the series is really great, and would definitely be at the top of my list of shows I’d love to see relicenced and re-released in the UK. There are so many shows out there that could be regarded as classics – whether they be the old greats like the original Cardcaptor Sakura or modern hits like Your Name, there’s something out there for everyone. 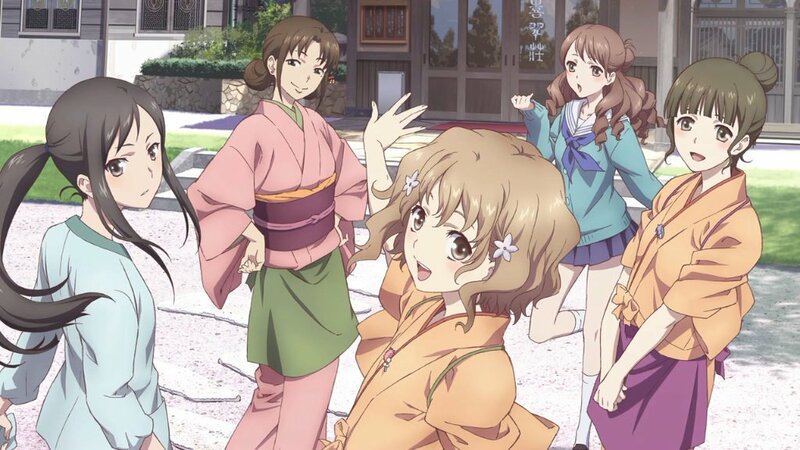 In my case, the classic I would like to highlight is from 2011, and perhaps the show that introduced me to just how unique anime can be as a storytelling medium: Hanasaku Iroha. HanaIro follows Ohana Matsumae, a stubborn 16-year-old girl who gets unceremoniously dumped at her grandmother’s hot spring inn after her mother elopes. Ohana throws herself into her new life with all the subtlety of a bull in a china shop, and it is her rambunctious nature that initially drives the plot. 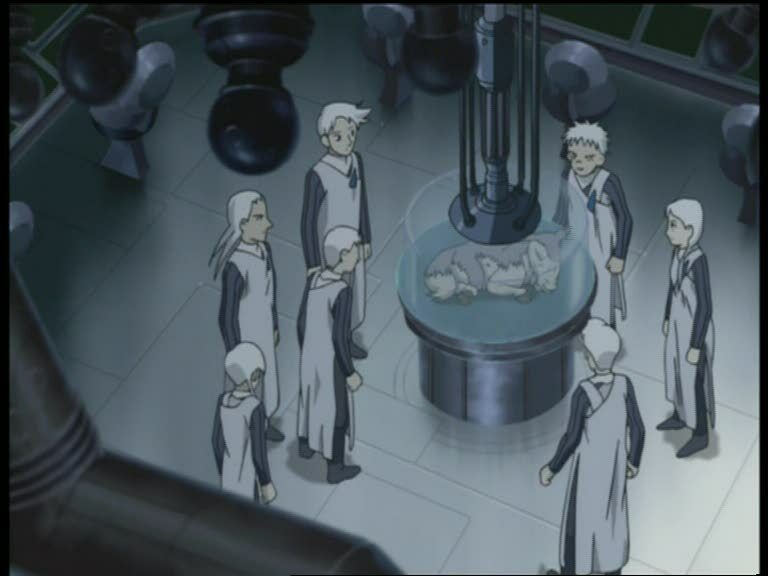 As the series progresses, other characters are introduced – aside from Ohana’s severe grandmother, Sui Shijima, she also quickly meets other residents of the inn, who all react to this hot-headed intruder in different ways. It’s this unusual dichotomy of naturalism and farce that makes Hanasaku Iroha so special .While the animation is superb (a characteristic of almost all P. A. Works creations), the real star is the script – which was masterfully penned by Mari Okada, whom you may also know from anohana: The Flower We Saw That Day, Anthem of the Heart, and the upcoming Maquia: When the Promised Flower Blooms, among many other works. The script weaves familiar tropes in anime with genuine emotion, wit, and empathy to produce a masterclass in character development – none of the characters in Hanasaku Iroha finish the 24-episode run the same as they started it, and it is this attention to detail that helps them transcend their tropes – because all the typical anime archetypes are present and accounted for, whether that be the black-haired tsundere, the shy, large-breasted swimmer girl, or the perverted adult literature author. There’s even a beach episode, bikinis and all. But none of this hampers the show nearly as much as it could, because every character is treated with sensitivity as well as a sparkling wit – while the characters find themselves in the most absurd and exaggerated situations, they also react to them (and each other) in a naturalistic and believable way. Take the example of Minko Tsurugi, an apprentice chef and the aforementioned black-haired tsundere. Her initial coldness is not a device to create fake drama, nor to serve as a trophy for a male lead to win. Instead, her blunt and distant personality is an entirely understandable reaction to Ohana crashing rudely into her life. As the two bicker and grow, their increasing warmth towards each other is natural and meaningful, and they both end the series better people for it. 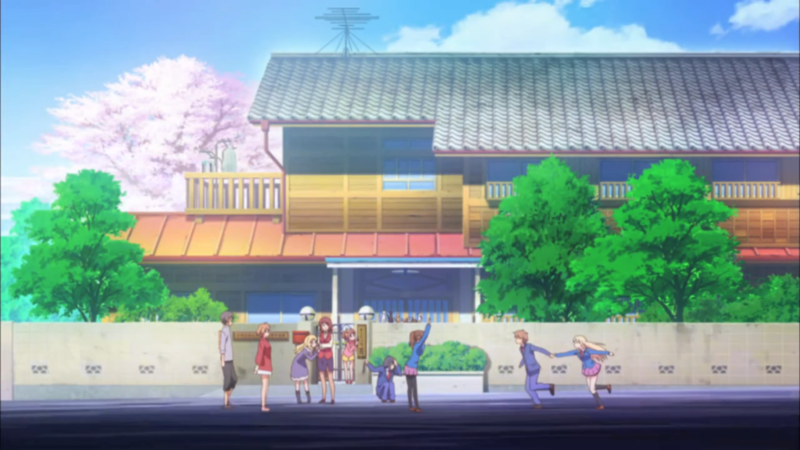 While most aspects of the show sparkle, one in particular dazzles, and has stuck in my mind nearly seven years after the show aired: Hanasaku Iroha portrays a teenaged relationship – a long-distance one at that – with utterly painful, compelling realism. 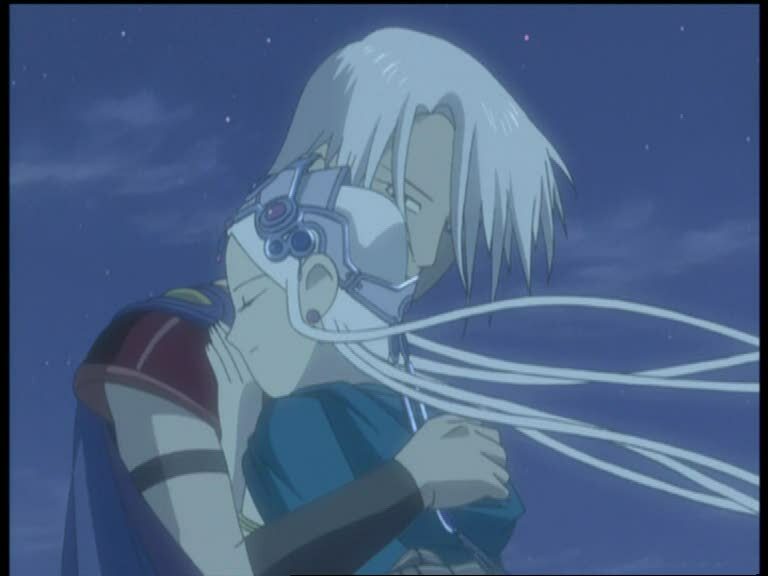 The two characters involved are both young, rash, and inexperienced – and it shows in every part of their relationship. It’s painful to watch them struggle to understand themselves or each other as they make mistakes and strive to achieve their goals – but it’s the best and sweetest kind of pain, and utterly engrossing. It’s a fantastic antidote to the more conventional “insert kindness to win girl” plots often found in other anime, simply because both characters are realistic, fleshed-out, and very prone to making mistakes. 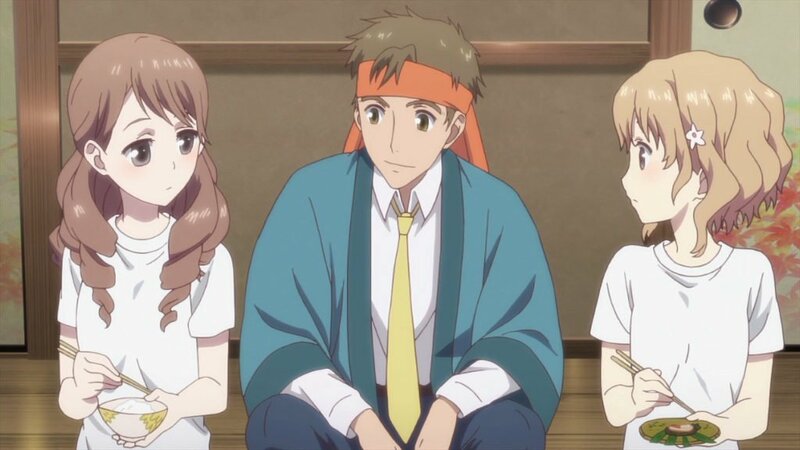 In the end, while Hanasaku Iroha isn’t perfect, it’s a truly powerful show – it demonstrates that you can take the building-blocks of anime, even ones that are fashionable to sneer at, and infuse them with wit and empathy to create something that’s much greater than the sum of its parts. Seven years after it initially aired, HanaIro is a profound, spellbinding drama, and one I highly recommend. We’ve had a lot of amazing releases this year, and they all would make wonderful surprises under the tree for that special someone. But to help with the Christmas shopping blues, here’s Anime UK News Gift Guide 2017!